Stone had been an ordained Presbyterian minister, but he was excommunicated when he began serving communion to non-Presbyterians. He had preached at the famous Cane Ridge Revival and seen men and women converted by gospel preaching — even though many of the preachers weren’t fellow Presbyterians. Even Methodist and Baptist preachers brought people to Jesus. Indeed, in his autobiography, Stone declared, while near his own death many decades later, that not a single convert from Cane Ridge had strayed from Jesus. Each conversion had been clearly genuine as shown by the fruit of the Spirit borne by each. His rejection by Presbyterian authorities led him to participate in the dissolution of the Springfield Presbytery, an organization of Presbyterian congregations that decided to be Christians only but not the only Christians. To explain their decision, they wrote the Last Will and Testament of the Springfield Presbytery — the earliest document of the Restoration Movement. Item. We will, that candidates for the Gospel ministry henceforth study the Holy Scriptures with fervent prayer, and obtain license from God to preach the simple Gospel, with the Holy Ghost sent down from Heaven, without any mixture of Philosophy, vein deceit, traditions of men or rudiments of the world—and let none henceforth take this honor to himself but he that is called of God, as was Aaron. Item. 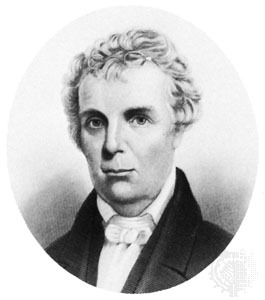 We will, that the church of Christ resume her native right of internal government—try her candidates for the ministry as to the soundness of their faith, acquaintance with experimental religion, gravity, and aptness to teach; and admit no other proof of their authority but Christ speaking in them— We will, that the church of Christ look to the Lord of the harvest to send forth laborers into His harvest; and she resume her primitive right of trying those who say they are apostles and are not. Item. We will, that each particular church, as a body, actuated by the same spirit, choose their own preacher, and support him with a free will offering without a written call or subscription, admit members, remove offenders; and never henceforth delegate her right of government to any man or set of men whatsoever. Item. We will, that the Synod of Kentucky, examine each member, who may be suspected of having departed from the Confession of Faith, and suspend every such suspected heretic immediately, in order that the oppressed may go free, and taste the sweets of Gospel liberty. Book union was based upon an authoritative creed, confession of faith or church discipline. Head union was based upon a common opinion, and Stone learned that this approach was characteristic of many who denounced creeds and made the Bible their creed. He warned that to make interpretations of the Bible a system of salvation is equally wrong. Water union was based upon baptism by immersion of believers; made the primary criteria of faith, said Stone, immersion can become sectarian. These three concepts of union Stone rejected in favor of the fourth: the union of fire or the Spirit. This is the perfect union achieved not by the agreement of human opinion but faith in our “Lord Jesus Christ, the Savior of sinners, and by a cheerful obedience to all his known commands.” The road to union is the road toward the Lordship of Christ. The Anatomy of a Nineteenth Century United Church (Lexington: Lexington Theological Seminary, 1983, pp. 16-17). Each one believed his opinion of certain texts to be the very spirit and meaning of the texts—and that this opinion was absolutely necessary to salvation. Sound familiar? The Churches of Christ have long declared that we have “No creed but the Bible,” and yet we do have a habit of making our opinions be absolutely necessary to salvation. Until God perfects our intellects in the general resurrection, we’re going to disagree. Our minds are just as fallen as our morality. We cannot possibly unite this way. As to head union, Stone recognizes the equal impossibility that we’ll ever all agree as to our hermeneutics. That is, by intellectual effort, we cannot unite because we not only can’t agree on the meaning of the texts (book union), we can’t even agree on the principles by which we should interpret the texts (head or hermeneutical union). Water union was defined to be a union founded on immersion into water. But fact proves that this union is easily dissolved, and that immersion will not keep those who are immersed, united. The Churches of Christ have preached baptism by immersion from their founding. And yet even while we were most loudly insisting on water union, we only became more and more disunited. It just didn’t work. The water could not hold us together. Indeed, in many respects, it drove us apart, because we sought unity based on an agreed understanding of how and why to be baptized, which soon morphed into an agreed understanding on how to conduct the worship service, and then on how to govern the church, and then what to name the church, and then how to spend church treasury funds, and then … well, we’ve not found a place to stop. How vain are all human attempts to unite a bundle of twigs together, so as to make them grow together and bear fruit! They must first be united with the living stock, and receive its sap and spirit, before they can ever be united with each other. So must we be first united with Christ, and receive his spirit, before we can ever be in spirit united with one another. The members of the body cannot live unless by union with the head—nor can the members of the church be united, unless first united with Christ, the living head. His spirit is the bond of union. Men have devised many plans to unite Christians—all are vain. There is but one effectual plan, which is, that all be united with Christ and walk in him. That is, only the divine Spirit can unite God’s people, and so the only mark of unity needed are the fruit of the Spirit found in Gal 5. It’s the work of the Spirit in our hearts that changes us so that we can be united. We don’t change ourselves. We don’t study and negotiate ourselves into unity. Rather, we submit to unity. Unity is found is humility and submission, not in the excellence of our knowledge and the perfection of our wisdom. Quite the contrary. The “ancient order of things” to Stone was not about precisely performing punctilious points of practice in the assembly. It was reliance on prayer and being filled with the Spirit. Of course, you realize that the 4th is just as much a human conclusion as the other three, right? And that “we” have argued as much about the spirit as we have on the other three! It is as arbitrary to pick the 4th. How about realizing that all FOUR are important, with one not taking precedence over the other? Baptism is important, because that is where we receive forgiveness, newness of life and the Spirit. The head is important, because that is were the renewal takes place. The book is important because that is where we learn of the other three. Until we learn to be balanced, without excluding one over the other, we will have issues. But hey, that, too, is a human opinion. Mine is right, though ;-). And that “we” have argued as much about the spirit as we have on the other three! Notice that you assume that I’m arguing for unity of the church based on an agreement about the Spirit. That is not my point at all — nor is it Stone’s. If that were my argument, you’d be right. We can no more agree about the Spirit than baptism. Or hermeneutics. Or a creed. The unity of the Spirit comes if we allow ourselves to be filled with the Spirit. Not knowledge about the Spirit. The Spirit himself. It’s a fuller indwelling, not a better education, that we need. Read tomorrow’s post and let me know what you think. That was what I was driving at in my earlier post on the unity of the Spirit. It is ontological not just theological. It is about who we are not just what we understand. The problem is no longer simply the legalists demanding agreement on doctrine; we now have the demand from most of them, and even from some moderates and progressives, to adhere to an extremely conservative political and social viewpoint. A revisionism of history and science has now become the new legalism, which, unless church leaders can think and guide the people out of, will keep the Church of Christ a fractured, stunted church that is lumped with the other religious groups who do not earn the respect as thinkers. Without the ethical walk in humility, gentleness, patience, and forbearance coupled with an eager desire to maintain the unity of the Spirit, unity will not follow. The problem is one, again, of definitions. When I look at the other passages written by Paul on unity, he makes some very strong statements – Phil 2, for example. The unity there is being of the same ind, same thoughts. There is the call to unity on doctrine. And that is where things head south, quickly. The rest of the text in Ephesians list the “one” statements, and we cannot seem to agree on the contents of those definitions, either. So we write about unity – but quibble about the practical applications. We tend to forget the need of agreeing on the DOCTRINE aspect of unity. Rudy, I think Philippians 2 says we are to have the same mind as Christ Jesus – and then goes on to describe his humility in emptying himself of equality with God to take the form of man and of a servant, being obedient even to death. 1 Corinthians 1:10 speaks of our having “one mind.” I address this here and here. Careful attention to Romans 14 – 15 will show that complete agreement in doctrinal matters, even where scripture is involved in establishing the doctrine, is not the key to unity. Rather it is forbearance and submission to one another in Christ. Of course, if someone rebels against Christ – in life style (immorality), in being factious (which is the meaning of the transliterated word heretic), or in denying Him – then we are to deliver them to Satan, mark them as factious, or even refuse them entry to our fellowship. I knowPhilippians 2:1-4 speaks of making Paul’s joy complete by being of the same mind etc. Rudy, my point was that the ‘one mind’ we are to have is defined as having the mind of Christ in his humility and suffering. It has been my observation that making the ‘one mind’ focus more on doctrine has a tendency to create division rather than unity. The reason for this, I believe, is the human tendency to treat MY understanding of the teachings (doctrine) of God the actual thing God meant by what he said. I need the humility to recognize that my understanding is not the standard, especially if I’m trying to answer a question not specifically addressed in the scriptures as given by God. Are there teachings we must hold? Of course there are. For example, all must confess Jesus as the Christ, the son of God. However, what do we mean by this statement? If I understand this differently than you do, must we hammer out all of our differences so we can be of ‘one mind?’ And must we go from that to having to hammer out all of our differences of understanding on every one of the 7 ‘one’s’ of Ephesians 4? If so, real unity becomes impossible. When Paul wrote “there is one body and one Spirit, even as we are called in one hope of our calling, one lord, one faith, one baptism, and one God and father of all who is over all and through all and in you all” he was addressing churches that had come out of Judaism and/or paganism. And he certainly did not use ‘faith’ in the same sense he used it in Romans 14 when he spoke of each having his own faith before God. There ‘faith’ is virtuously synonymous with ‘opinion.’ In Ephesians it likely refers to the common faith in Jesus as lord. So while we may hold different opinions about many things, there is a commonality that should hold us together in spite of the opinions that differ. But in the absence of humility, love, and forbearance those things in common common aren’t enough to hold us together, so we divide…and divide again…and again…ad infinitum.